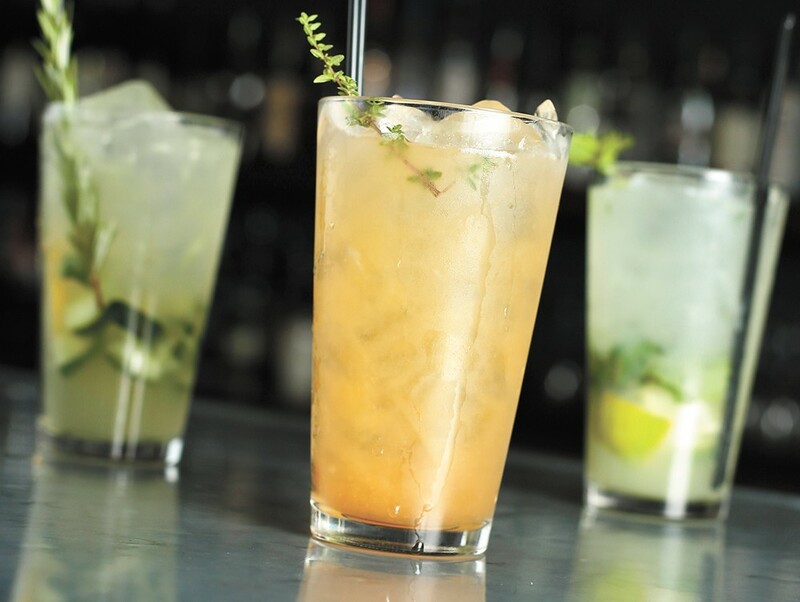 Clover's housemade syrups and fruit or herb infusions are used to make custom soda blends. Sharelle Klaus remembers being distinctly disappointed with the nonalcoholic beverage options available to her back in 2005. Though she was passionate about pairing food with wine and cocktails, motherhood meant that Klaus needed to put booze on hold for about 10 years; even so, she didn't want to put her palate on hold. "I looked at the landscape of carbonated soft drinks and recognized that there hadn't really been any innovation," recalls Klaus. "We had the same colas and lemon-limes. The closest innovation there had been was Izze, a juice-based soda. It was interesting, but for me Izze was too sweet." She continues: "I loved what was happening in craft beer, I loved what was happening with coffee — you could see that there was really a place for premium and more, in my mind, culinary-inspired flavors. I got really excited at the thought of that; of course, there should be a more elevated experience when you drink soda." DRY Sparkling was thus born on Washington's westside, starting a movement that would quickly spread across the Cascades and into homes and restaurants of the Inland Northwest and beyond. The Seattle-based soda company initially released four flavors — lavender, lemongrass, rhubarb and kumquat; none were average soda flavors, especially in the mid-2000s. 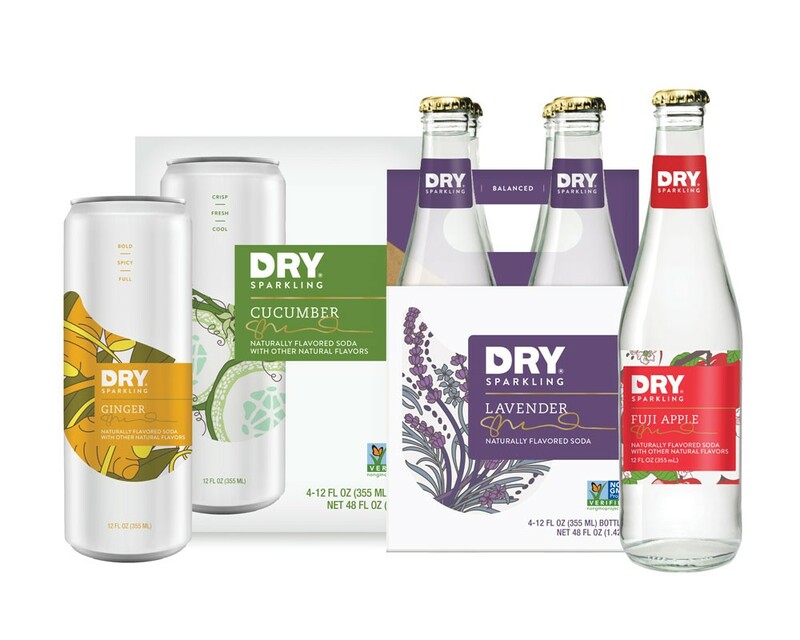 Today, lavender is the best-selling of DRY Sparkling's 10 flavors. Only rhubarb still holds a spot in the lineup; meanwhile, kumquat was reformulated to become blood orange, and lemongrass only makes an occasional appearance as a seasonal flavor. In the intervening years since launching her company, Klaus has seen the nonalcoholic beverage landscape drastically change. "When we first started, people were like 'Lavender? Are you serious? You want me to try that?'" Klaus recalls. "Americans are really getting much more adventurous all the way across. We did a Serrano pepper last summer and that sold so well, and it won awards." The craft soda maker is excited about the choices now available to consumers, and the ways retailers are beginning to pay more attention to this new and growing category, defined by lighter servings of sugar and sophisticated flavors. Unlike the thriving popular sparkling-water category, however, the craft sodas have a bit more substance, and aren't afraid of calories. For Klaus, the difference between craft and mainstream soda is about using excellent ingredients in a very intentional way. DRY Sparkling of Seattle helped spearhead the craft soda movement when it was founded in 2005. While these small-batch sodas are a lot of fun to drink on their own, Klaus has always been passionate about pairing. "From the beginning, I worked with local chefs to really understand and to teach me about how food and wine pair," she says. "I learned a lot about different flavors, different acidity levels, different sweetness levels. I did want this to be an opportunity to pair with food — we vary the acidity levels within each flavor." Pairing anything takes a little practice. To get DRY drinkers started, the company offers a helpful pairings suggestion feature on its website. There, users can find that DRY's lavender can complement lamb, cheese platters and pork tenderloin, among many other dishes. "I think it's really fun to grab a couple different flavors and just start tasting them," Klaus notes. "It's not a $50 bottle of wine, so you're not going to get it wrong. I think that's kind of the fun part — it's just really entry level. You're paying $1.69 for a bottle of this soda, and you get to just have fun with it and experiment." Most major grocers carry DRY's products; the soda maker also has an online search feature (drysparkling.com/find-dry) for interested buyers to find out if and what specific flavors of the soda their local store carries. While culinary-inspired soda is fun at home, it's just as delightful at a restaurant. Pop into Ruins, just north of the Monroe Street Bridge, and order DRY soda, or Ruins' own housemade fizzy concoctions, which rotate regularly according to the seasons and the whim of lead bartender Crystal Bertholic. For Ruins owner and chef Tony Brown, craft soda was just part of making sure that every part of the guest experience was just right. "We've got these bitters that we're making, we've got these housemade simple syrups that we make for all of our cocktails, whether it be just ginger simple syrup, black pepper simple syrup, any of that stuff. Why not make just nonalcoholic soda? You want every detail to be taken care of." As with other drinks on Ruins' menu, sodas are made to order, combining syrups, soda water, and sometimes fresh juices or herbs. Past flavors include tamarind, Earl Grey, rosemary, blackberry and mint, and "pretty much every berry you can think of," says Brown. He sees these options as something more sophisticated for those who aren't yet of age, or who choose not to drink. "Hopefully it's not a gateway drug, but if you can have, like, a really crafted, well put-together soda that tastes just like maybe your 22-year-old friend's [cocktail] that you're going out with, or your mom or your dad's cocktail — I remember when I was a kid, you got a Shirley Temple, it's kind of like drinking a cocktail. I bet we could make a pretty damn good Shirley Temple." It's this ethos that drives the craft soda program across town at Clover, as well. "We wanted to have some beverage options that were just as flavorful as the alcoholic options," says Justin Curtis, general manager of the fine dining spot near Gonzaga. "We wanted to be able to create as much complexity as an alcoholic drink." At Clover, diners can find ginger lime mint soda, fizzy cucumber lemonade, and vanilla cream soda on the menu year-round, as well as a seasonal housemade cream soda featuring a variety of fruits. Even breweries are jumping on the bandwagon: Orlison Brewing Co. released a few limited-release flavors this year, and River City Brewing makes their own root beer, as do several other local breweries.